Not all polarized fishing sunglasses are the same. It is important to know the properties each color of polarized sunglasses before you head out to buy them since each color is better for a particular weather and environment. You should choose the color of your polarized sunglasses accordingly. Below are the properties that brown and gray polarized sunglasses offer. Getting gray lenses is a good option not only for polarized sunglasses but also for simple sunglasses. This color is one of the most popular among polarized sunglasses because of its properties. Firstly, it can be used in every kind of weather, from sunny and cloudy to rainy and foggy. This particular property makes it suitable for everyday use. Furthermore, the gray color works as a neutral that helps block any excess blue light, which enhances the contrasts and hues of objects. It also reduces eye strain and glare from water and helps minimize the brightness of sunlight that can cause eye fatigue. People who have green or blue eyes are usually more sensitive to light than people who have dark eye colors, so gray polarized sunglasses are the best option for them. Gray lenses also make it easier for fishermen to search waters easily and find fish habitats without letting the reflective light from the water bother them. Even though gray lenses can be used in dark and cloudy environments, they are known to further darken your surroundings. Since the weather is already dark, gray lenses further make everything appear even darker, so it is recommended that you buy gray lenses if you are mostly going to be out in sunny, bright weather. Brown colored polarized lenses are the second most popular polarized sunglasses around the world. 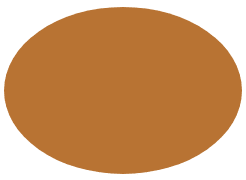 Brown shades are best known to provide a natural contrast. They work as a shield against blue color, which helps reduce the glare you can get from the water’s surface while fishing. Brown colored lenses are also known to provide comfort to the eyes. Furthermore, brown lenses enhance colors and contrasts. They also provide depth perception, which makes it easier for fishermen to check the waters for fish. If you prefer to wear light-colored sunglasses because gray and black can make the surrounding a little too dark, you should consider buying brown lenses. They do not distort colors and images. Both lenses are similar in many ways, but there are a few properties that they differ in. Gray polarized lenses help protect you from bright sunlight, whereas brown enhances contrast and helps provide good depth perception. The best lens color for you depends on the environment you will be using it in and the purpose you need it for.